Encino-based Elder Law attorney, Gerald “Gerry” Kane, has been helping clients maneuver the often rough terrain of Elder Law, Estate Planning, Trusts, Probate Law, and Veterans Benefits for over 22 years. He came to estate planning through an educational background focused on finance, tax law, and real estate, and a passion for working one-on-one with clients in a way that would truly better their lives. With this innovative, forward-thinking, custom legal and financial guidance, Gerry creates estate plans that protect them and their families as they transition wealth from one generation to the next. Life happens whether or not we plan for it. No one knows this better than Gerry Kane. Married for sixteen years, Gerry’s first wife lost a three-year battle fighting an extended illness, leaving him with two young daughters, one with specials needs. Overnight, he became a single parent trying to juggle work, his daughter’s schedules and the legal system to protect his daughters should something happen to him. This tragic experience brought to light the need for parents to plan for life’s unexpected events. He soon created and added Special Needs Trusts and Kids Protection Planning to his legal services. 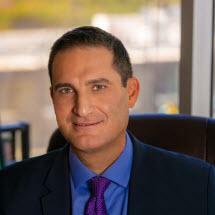 A resident of the San Fernando Valley for most of his life, Gerry gives a high priority to giving back through education and guidance in legal matters. Gerry has done many educational presentations for the community, in-services working with discharge planners and social workers at skilled nursing facilities, hospitals, the VA Elders at Risk Task Force, Alzheimer’s Greater Los Angeles, the Older Adult Task Force, many assisted living communities and the Brandman Center, a PACE program at the Jewish Home.